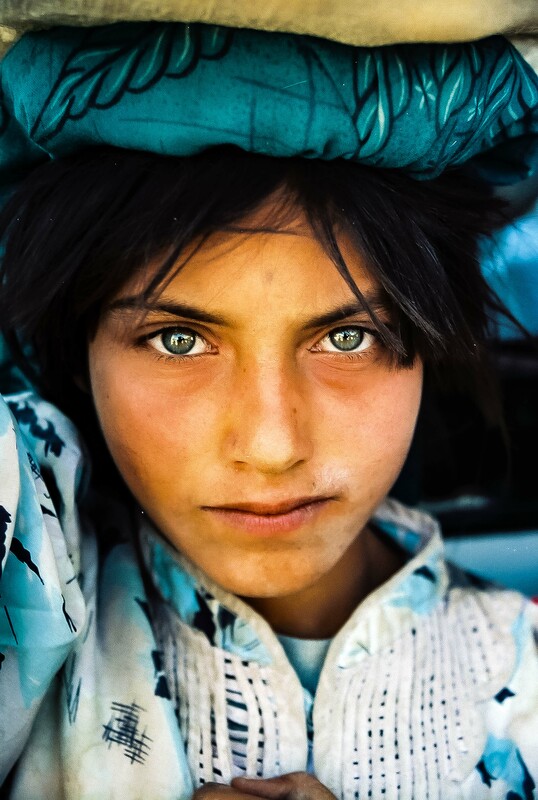 In 2002, before the US invasion of Iraq in 2003, I traveled to Iraq and then Afghanistan. What I learned – My belief that people are friendly everywhere was reinforced. 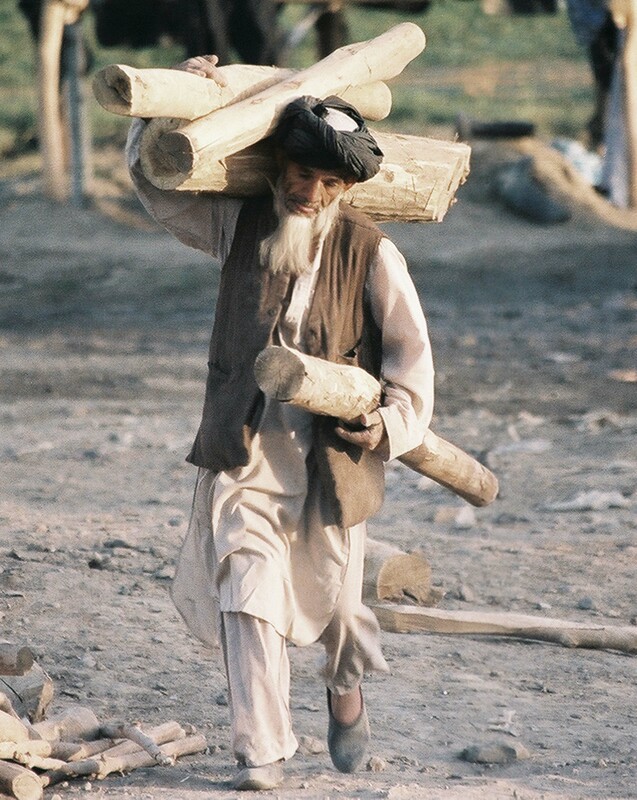 We drove along the streets of Kabul. I got out to buy bread. 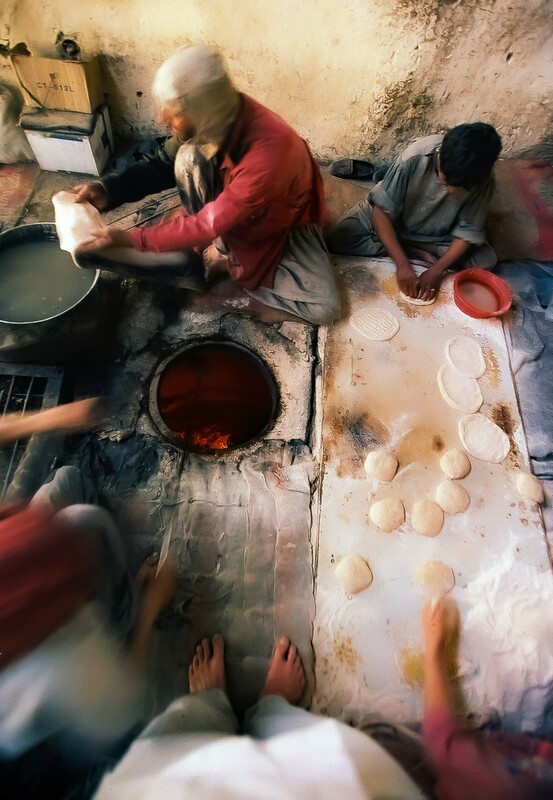 The bread-makers invited me to climb up on their three-foot high platform to witness their bread-making firsthand. I was amazed at the size of the oven. It was about six to seven feet deep and about five feet across. One man rolled the dough into balls, then tossed them to a pile. Another man grabbed the balls of dough from the pile and stretched them out on a flat board. He kneaded them with his fingers. He gave them a crisscross design – their trademark. Then he took the board with the bread on it and, stretching his body, slapped it against the side of the oven. A third man retrieved the breads when they were done. It was a continual system, with breads coming out every twenty seconds or so. Their teamwork was exceptional. 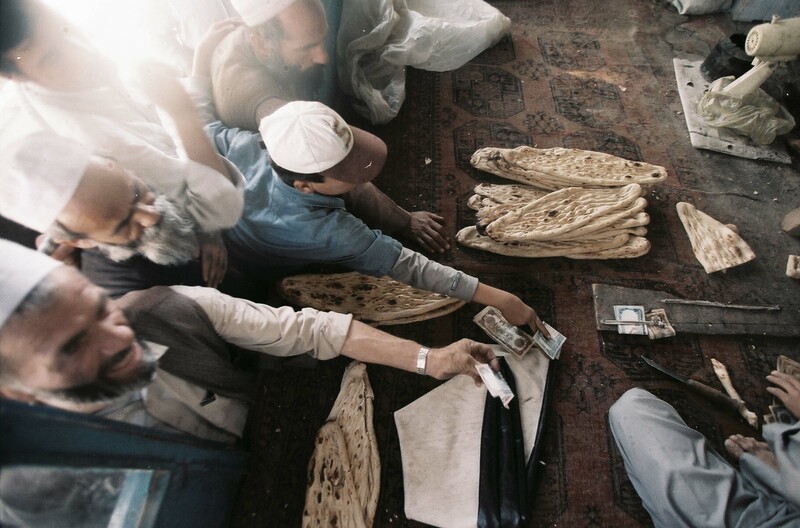 An older man collected the money, 2000 Afghanis, or about 5 cents, for one piece. When I videoed, I think I disturbed their rhythm, but they did not complain. 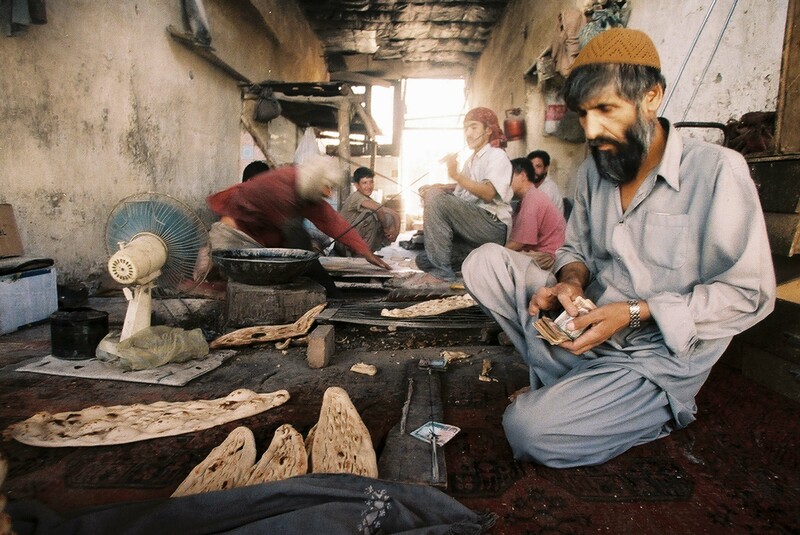 I bought fresh bread, and later fresh kebab, which was being fanned a couple of doors down from the bread-makers. 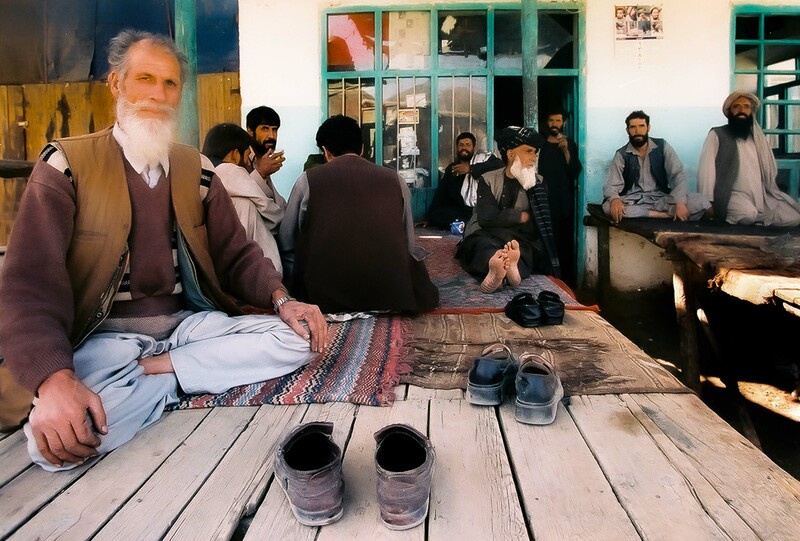 After this, my family and I rode out of Kabul. We continued down the “highway.” Shafi drove very slowly. He sat so close to the steering wheel that it almost touched his belly. We came to a check post that marked the exit and entrance to Kabul municipality. Stratified mountains surrounded it, towering hulks of brown, scorched earth, the color of the adobe houses. Down the road, a family of seven sat atop sacks of bright red/violet onions. A man whose leg had been amputated wanted his photo taken. After the photo, he wanted money, which we gave him. Shafi said the road may not be safe after dark, so we turned back. When we got to the check post, the police asked if we could give a ride to a woman who was wearing a burka. They told Shafi that she was a commander in the military, whose job it was to check incoming female travelers for weapons.